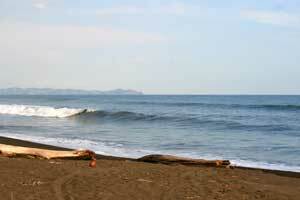 Usually it is not worth checking this beach for waves, most often there is nothing to surf here. 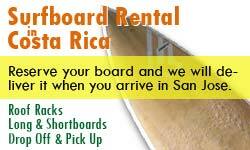 Arrival by car, coming from the North cross the village of Parrita and the Rio Pirri. One has to turn right and drive 5 kilometer to the beach. The waves tend to closeout here. 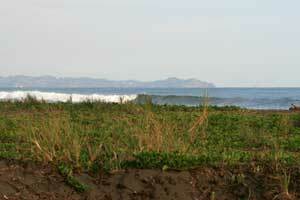 The waves are best south of the village. But when it’s good it is almost for sure that you will have the waves for yourself, without anyone else out in the water. 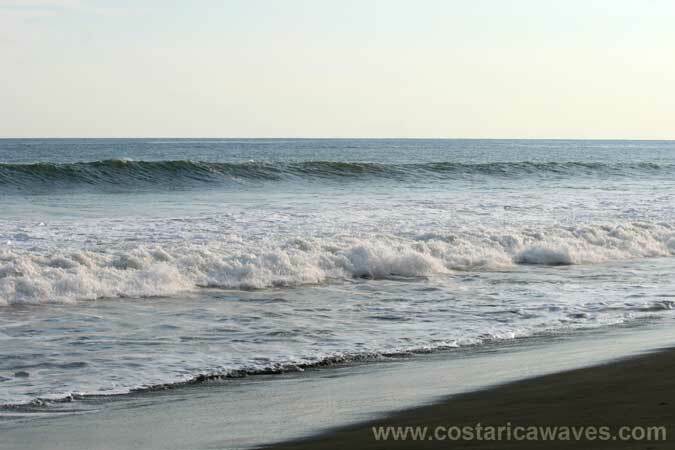 The waves break to the left and to the right over a sandy bottom. When you want to check for waves here do so during medium upcoming and high tide. 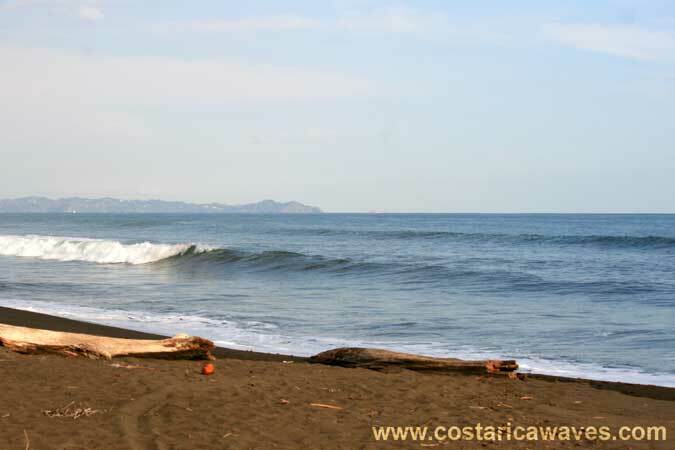 Playa Palo Seco, in the background one can see Manuel Antonio. 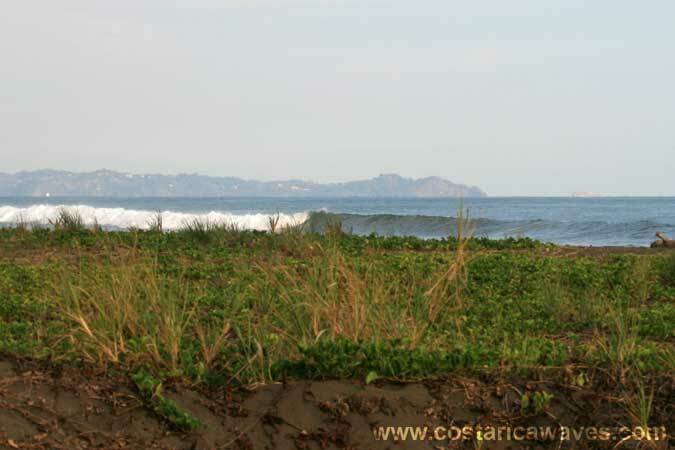 Unsurfed waves in Playa Palo Seco. Usually there are not many people around on the beach. 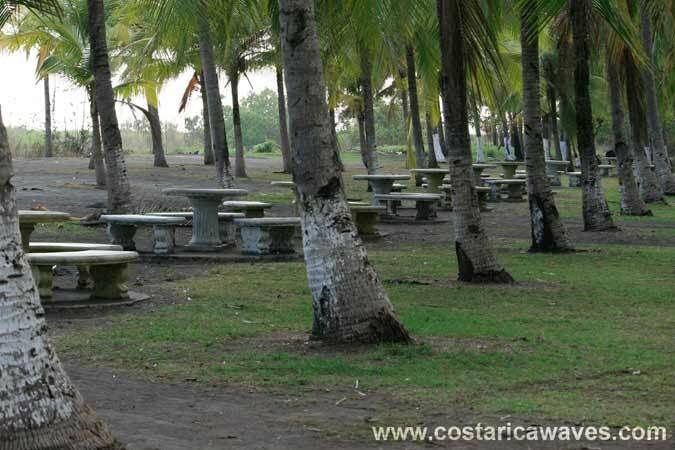 The are several picnic tables in the shade of the palm trees at Playa Palo Seco.